"It's always fun to prove people wrong," Dallas Clark says. But that's definitely not the motivation." He can't remember the last time he wore his Super Bowl ring. Was there a last time? 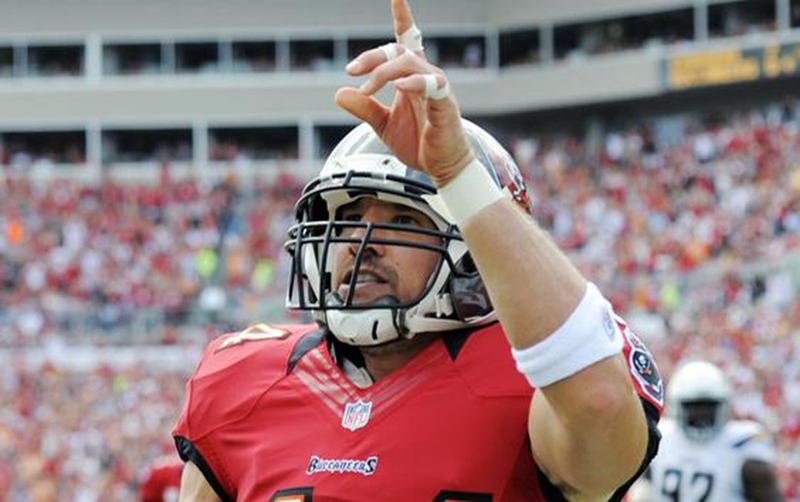 "Even when I get done, I'm not going to wear it," Bucs tight end Dallas Clark said. "You're in this business to get another one." Of course, there are the memories, that night in Miami in 2007. They'll seem fresher this afternoon when the Bucs meet the Denver Broncos. Clark will see his friend Peyton Manning. They played together for eight seasons as Indianapolis Colts. Clark caught more than 400 Manning passes, 48 for touchdowns, including playoffs. "Boy, he made a ton of huge plays for me," Manning said. "… It's always different when you see guys you played with for so many years and practiced with, to think about how many passes I've thrown to Dallas Clark. In practice, in May, in April, in June, just countless repetitions. Dallas was a true workaholic. He and I were always trying to get it just right, but it always paid off for us on Sunday." "It's definitely something special," Clark said. "It's unique and it's definitely something that as you continue to play and you get down the road and you're done playing, it's one of those things you'll look back on and realize how special a situation we had." They're not done playing. The Colts released Peyton Manning. They moved on. Dallas Clark smiles at what his friend is doing in Denver. He saw last season how hard Manning worked to recover from a neck injury. "You knew he was going to surprise some people," Clark said. "I know I could still play," he said. The Bucs signed him as a free agent, but who wasn't skeptical that Clark, 33, had anything left after injuries kept bringing him down. Only now the 10-year pro is coming on. It took a while for Clark to hit his stride, but as defenses increasingly trained their games on Bucs wide receivers Vincent Jackson and Mike Williams, he made his mark. It still seemed as if he'd come from nowhere when he caught the game-winning touchdown in overtime at Carolina two weeks ago. "There's always that, when you get to a certain point in your career, there are always the naysayers …" Clark said. "It's always fun to prove people wrong. There's nothing wrong with that. But that's definitely not the motivation, the drive. It's your desire to keep playing the game." "He knows what it takes to get to the top of the mountain," Bucs offensive coordinator Mike Sullivan said. "And yet he's still a down-to-earth, approachable kind of guy who can give some feedback. I've seen him talking to the younger players. He's a good communicator and that's how he kind of leads by example." Clark says that all goes back to how it started for him in Indianapolis. "Peyton, Jeff Saturday, Reggie Wayne, they were just the guys who … you were dumb if you didn't look at those guys when you were a younger player and go, 'Wow, that's how you do this. That's how you last a long time in this league.' That's what I'm trying to be to these guys, taking what I learned there and pass it on." He wants to set an example on the field — and off it. Back in Iowa, where Clark was a four-sport star, the Dallas Clark Foundation helps raise scholarship funds, oversees a recycling program and runs football camps, anything to give back. "There are so many things we can do as professional athletes to make an impact on this world," Clark said. "Being a good influence for kids, being a positive role model for kids, helping with foundations. We get on this pedestal because we play this game. It's foolish if you don't do something positive with it." He'll return to Iowa, where he was raised, when his games are done. Someone mentioned a future in TV, doing NFL games. During the NFL lockout a few years ago, Clark made a cameo on "Criminal Minds," playing a police officer. (A writer on the show is a huge Clark and Colts fan.) But Clark has no more acting in mind, or football work, outside of occasionally hitting his alma mater for an Iowa game. Mostly, he'll be at Century Farm, the family spread and some other land he has bought. He'll grow corn. "I'm just going to disappear," Clark said. "Definitely, just that environment, that's what I love. I love working. I love seeing what I've been doing. I like sweating. I like machines." "I can still catch the ball."